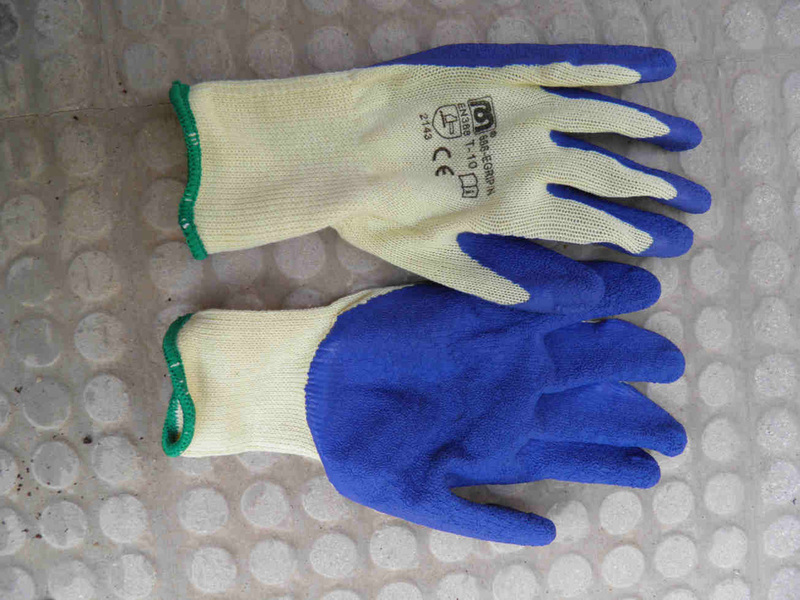 The use of the below described gloves is mandatory. 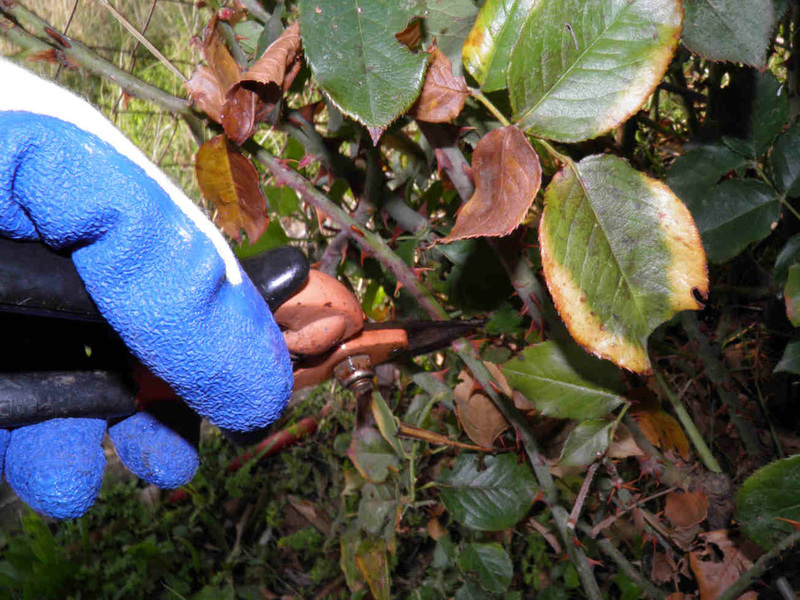 If this is the first time you handle a hand pruner, please practice first on any plant of easy access and make sure you keep the fingers of the other hand away! Get coated cotton gloves which are comfortable and soft on your hands while offering a good protection against the rose spikes. 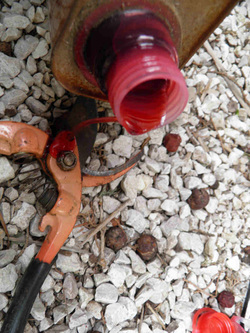 Do not forget to pour some oil (any lube oil) on your pruning shears. 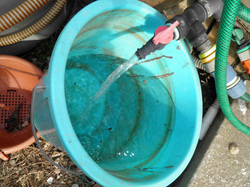 Also prepare a bucket filled to 1/2 of water. 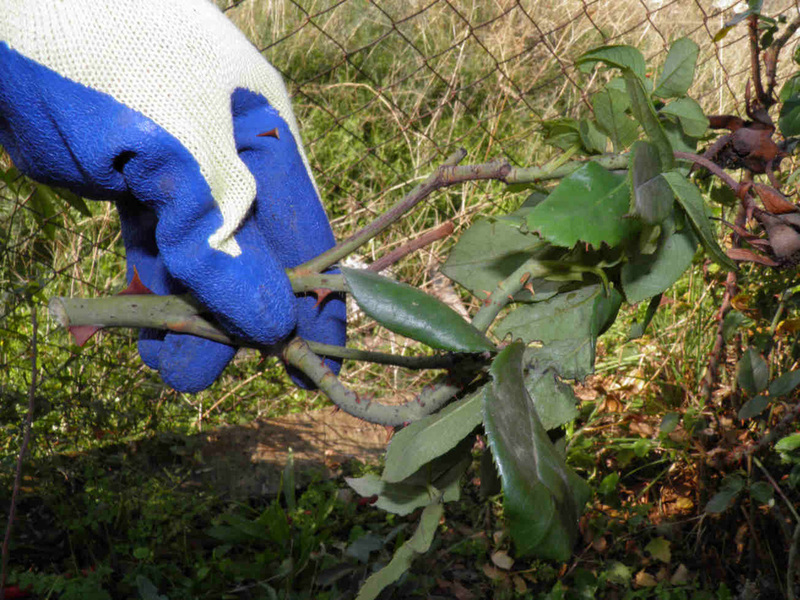 It will be later used for cuttings. 4- Keep them in water until you finish cutting them all and placing them in a vase. 2- Start by finding the roses that did not yet hatch. 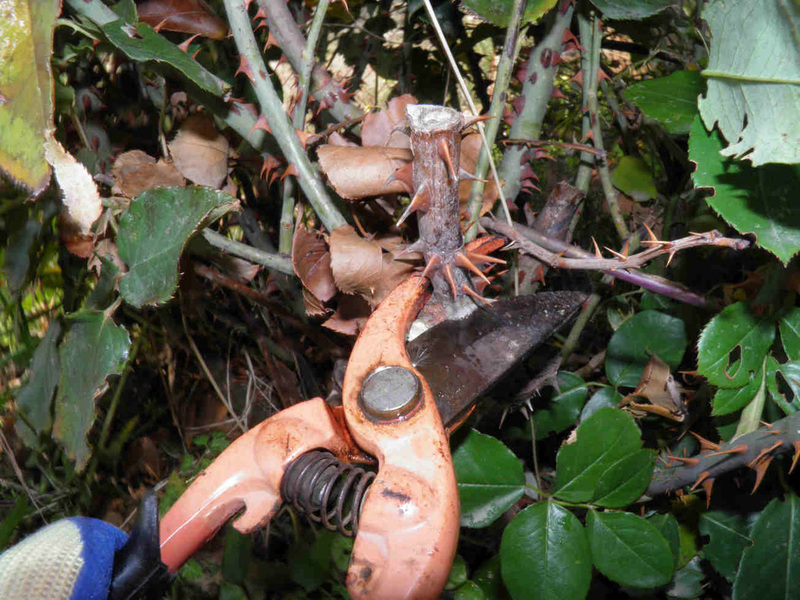 1- Start by eliminating all dead stems. Cut also the thin ones that did not reach a proper diameter. 4- Cut also any stem that has a thicker branch departing from it. Cut it low at 3 to 4 buds from bottom. 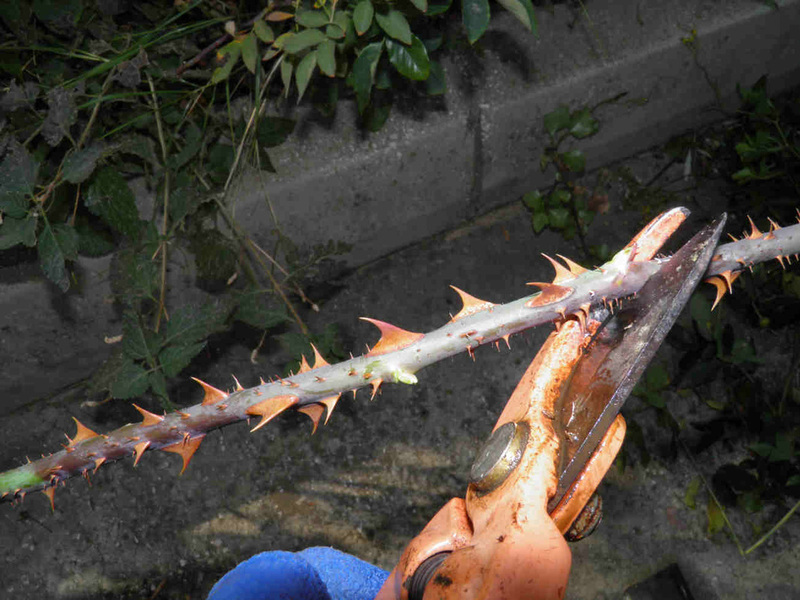 The thick branch will do a perfect cutting. See below. 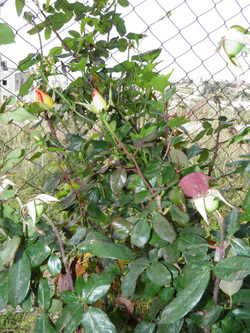 2- Where the roses were grouped on top of a stem, cut the latter below the group by 2 or 3 buds. 5- Always cut with a 45 degrees angle at 3 to 5 mm on top of a nice and well oriented bud. The angle should be pointing down opposite the bud. 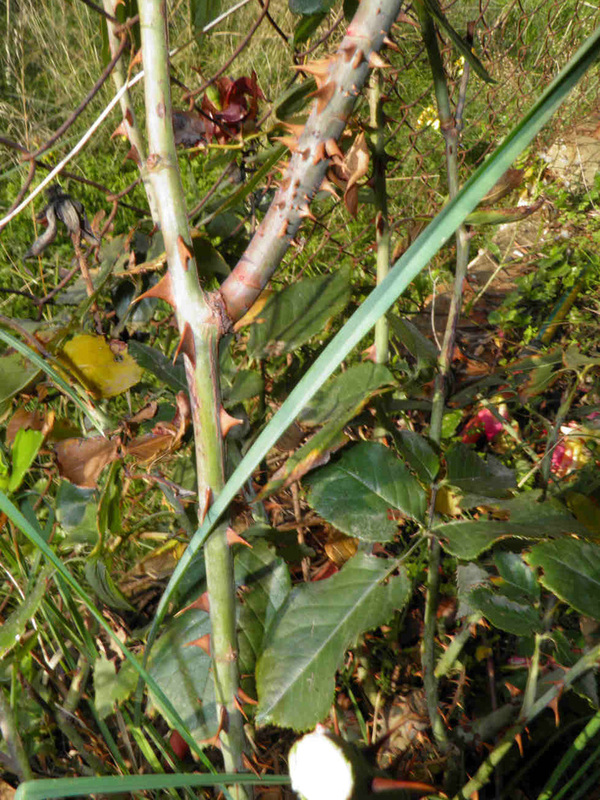 Do not cut too short young and strong stems. Trim lower the ones that need a boost. 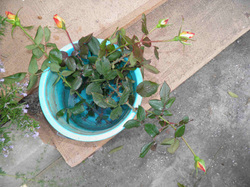 3- You would have simply eliminated the top of the stem and its old flowers. 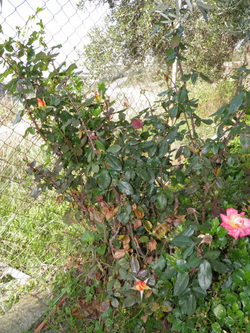 6- The result is a bare plant with no flowers or leaves and stems that are cut oblique at more or less the same level. 1- Select only strong an thick stems of enough length i.e. 30 to 50 cm. 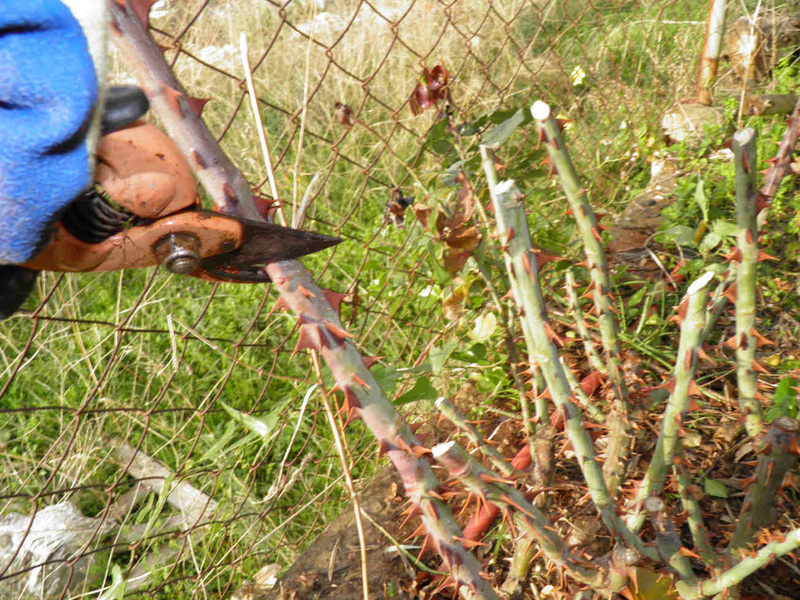 Cut them straight at bottom and remove all leaves. 2- Cut them on the other side with an angle and a few mm away from a nice bud. 3- Keep them in water for 2 weeks prior to planting them.